The historic Mott Bridge was built by the Civilian Conservation Corps in 1935. 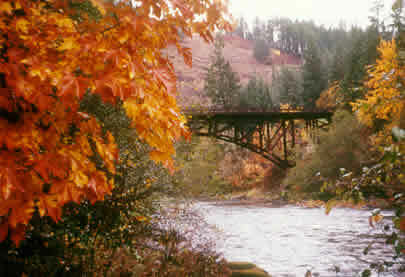 The parking area across the bridge serves as the trailhead for the Mott and Panther segments of the North Umpqua Trail. The interpretive kiosk at this site features the history of the area, steelhead fisheries and angling, and specific trail features. A public phone is available. 15-30 minutes.